has been a powerful force throughout history. and water (another kind of antiseptic) to doctor the wounds. help the common yeast and other vaginal infections. Clotrimazole cream and a cream containing garlic and thyme. seems to be excellent for skin. that thyme was the most effective. face washes and scrubs we've all been desperately using. if you've already got that cold. vitamins, potassium, iron, and manganese. Vitamin A helps maintain healthy skin and good vision. the body to form red blood cells. some on your dinner, since it's delicious. to be effective in treating bronchitis. 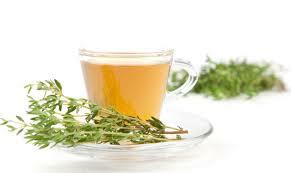 try including thyme as one of your treatments. dosage of carvacrol to rats over a seven-day time period. in the hippocampus and prefrontal cortex. Happier rats. oil or using it directly as an herb in your lunch. pressure and break up congestion.